Baby’s First Mariners Game! 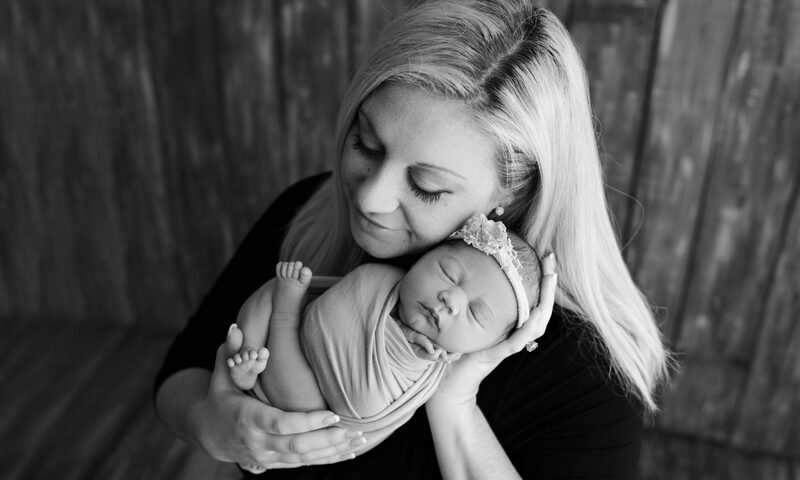 – A Guide to Attending as a new Parent – Abbey Co. Living in Seattle, we of course are Mariner’s fans! We love MLB games because they are a fun and low-key way to spend a Sunday in the warm summer sun… plus with busy schedules there are plenty of games to choose from. Here are a few things to know if you are visiting Safeco field for the first time with your family! Bring a baby carrier – large strollers are not allowed. If you brought a stroller, you can check it at the customer service counter (section 128) and pick it up at the end of the game. Ask for your baby’s certificate for attending their first game! You can get one of these filled out for you at the customer service counter where you checked the stroller (also section 128!). Bring sunscreen! A hat for little bald baby heads is important too. Most seats are not fully covered. 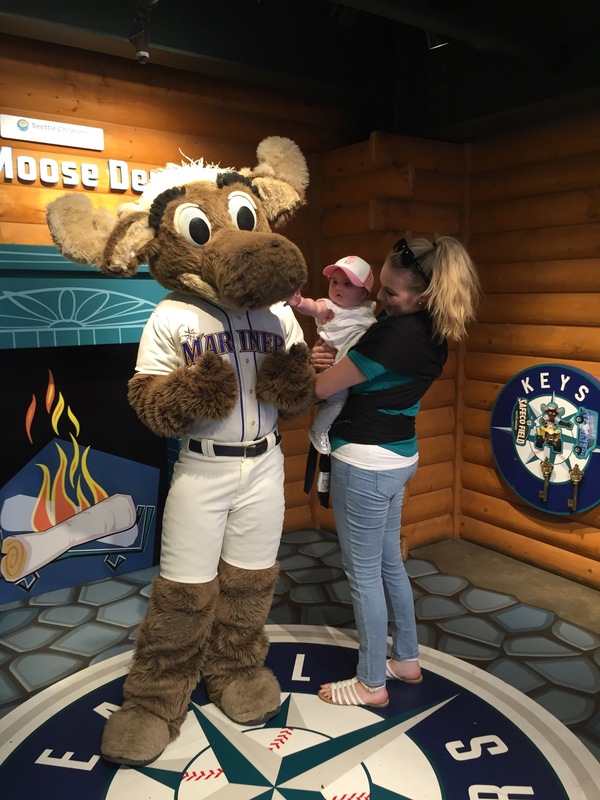 You can meet the Mariner Moose! Listen for announcements on what times the moose will be in the “Moose Den” then head there that inning. The line will be long, so I would suggest grabbing some Fro-Yo for while you wait! Snacks for kids are allowed. Just like the airport, items such as water bottles, formula, and baby food are allowed. So is your baby bag. Just be sure to let them take a look in it at security out front and you are good to go! A plus – tickets for kids age 2 and under are free if sitting on an adult’s lap! Children 3 and older require their own seat/ticket. If you feel like general game tickets are too expensive, consider getting bleacher seats! A normal game can run a minimum of about $60 per person for good seats. However, you can get tickets in the bleachers for as little as $11! Yes – the bleachers are in the full on elements without any cover. However, there are plenty of places you can walk around the stadium if you need a break from the sun or the cold. Plus, if heavy rain is in the forecast, they will close the roof, and then you will be just as good as everyone else under cover. Bleacher seats are a perfect option for large families and groups. I hope this advice is helpful, and Goooooooo Mariners! I thought for sure she would cry when meeting the Mariner Moose. I just he is just that cool of a guy! Also, attending your baby’s first game requires some super cute gear! Here are some links to super cute fan gear that I love – plus free two-day shipping if you are an Amazon Prime member!! Pingback: 1 Year Blogging Anniversary! – Abbey Co. I just found your article … even though its a year old, the info was helpful! Can’t wait for our baby’s first game. Thank you, I am so glad you found it helpful! I wrote it a while back but do try to go back and edit from time to time to make sure info is current. Go M’s! Next PostNext A headache-free way to win your kids birthday party… Hosting at a Children’s Museum!